How can AXS help your team? Unlike emailed PDF tickets or static bar codes, AXS digital tickets help you grow your fan database with every ticket purchase, transfer, bid or resale — because every ticket is tied to an identifiable account. The result? Truly know who is showing up for your events, who is a candidate for up-sells, and who needs proactive follow-up to ensure retention. Make every aspect of event discovery, purchase and day-of-event seamless for fans — and more profitable for you. Control the secondary market for your tickets with our fan-to-fan ticket exchange –unified with the primary ticketing purchase experience. Take total control of event creation, pricing and offers for maximum flexibility to market demands–in real time, using a single tool. Our truly open APIs give you access to all your data using applications you choose. “With AXS Mobile ID, we have a much deeper level of information than anything we’d had before." Enable fans to explore, purchase, or sell any type of inventory — primary, secondary or premium — in a single cart, as part of a seamless experience. Regardless of ticket type, fans can select individual seats from a 2D or 3D seat map, each with their own individual virtual view from the seat. Fan-to-fan ticket exchange that allows ticket sales even when your event is sold out, while giving you a new revenue stream and rich marketing data with each bid, transfer or sale, thanks to AXS Mobile ID. 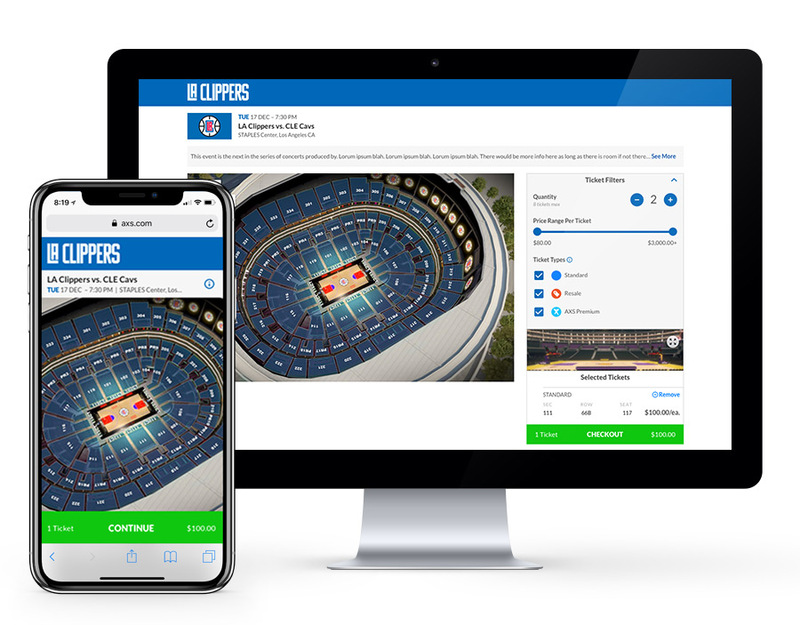 ID-based digital tickets that help you grow revenue and per-cap spending, while making ticket purchase, transfer, sale and venue entry safe and easy for fans. Track sales, spot broker trends, view demographic data, and more. AXS INTELLIGENCE harnesses the power of machine learning for timely, useful metrics related to your events and fans. Manage every aspect of inventory, event creation, offers and sales channels from a single, powerful administrative control center. Highly efficient and cost-effective iPod-based scanning hardware and software that streamlines entry for paper tickets, print-at-home or AXS Mobile ID. AXS ANYWHERE puts you in control, taking your inventory to where the fan is. Our partners help you reach new customers, grow your marketing database, and sell more tickets. carbonhouse is the industry leader in creating venue and sports websites that connect you with your fans.